I’ve seen enough of war to want to keep away from the military idea. Woodcraft, handicraft, and all those things are invaluable. First aid and all that goes with it is excellent; but the boys should be kept away from the idea that they are being trained so that some day they may fight for their country. It is not war-scouting that is needed now, but peace-scouting. The explorers, the pioneers, the persons who are always on the lookout to do something for the benefit of humanity, are the ones who count, and that should be the motto of every boy scout. 1912 Chicago Address, emphasis mine. I had not intended to write another post in this series, but recent events surrounding the formation of “alternative” youth associations convinced me that at least one more post might be helpful. The Explorer Law is a concrete expression of the Gospel, a practical translation of principles posed by the Decalogue. Our law emerges in the heart of children and opens up into the most beautiful Christian virtues that nature and God’s grace make fruitful. The Venerable Fr. Jacques Sevin, S.J., put it even more simply: “The [Explorers]’s law is sacred and the holy Bible its perfume. The [Explorers]’s law is our Lord Jesus’ law.” Is it a coincidence that there are ten articles in the Explorer Law (the original 1908 Law had but nine articles, but this grew to ten in 1911) and ten commandments in the Decalogue? And just as the Decalogue is primary in the moral life of a Christian, the ten articles of the Law are primary in the way of life proposed by the Baden-Powell method. Observance he Law isn’t optional for the Explorer (or Rover or Pathfinder) any more than observance of the Decalogue is optional for anyone in the wayfaring state on earth. The FSE was founded on All Saints Day in 1956, established its current federal statutes in 1976 (when its official name became the Union Internationale des Guides et Scouts d’Europe – Fédération du Scoutisme Européen or UIGSE-FSE), and was approved by the Holy See only in 2003 (ad experimentum; definitive approval would follow five years later). All in all, over 50 years from foundation until final approval by the Holy See. But this approval could not have happened if there were no program. A youth association without a program is like a religious order without a charism. And a youth association without a Promise and Law is like a religious order without a rule. The program, informed by the Promise and the Law, comes first; only then can one hope for approval. 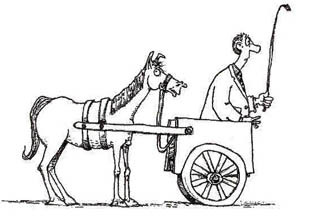 For an association to lobby for approval before it has an established program is putting the cart before the horse. It’s important to note that a “program” is not merely a series of requirements culminating in awards. It is rather the educational method for teaching those requirements. It is not enough to say that a boy must know how to tie a sheet bend and a bowline in order to wear a patch on his sleeve. A program tells us how we teach the boy a sheet bend and in what context. Requirements can no more make up a program than good works can make up the practice of Christianity. I don’t doubt the good intentions of those who would seek approval before developing their program — Christians are, after all, supposed to be obedient to those whom God has set over them, both temporally and spiritually, and the approval of Divinely-appointed authority is a sign of God’s favor and a help for the perplexed in these confusing times. They are just going about things the wrong way, and need to rethink their approach. In his Exposition of the Seven Penitential Psalms St. John Fisher talks about the gift of tears, the ability to weep for one’s sins. Several years ago I had an experience in which I believe I received this gift — one time only — on Good Friday thanks to the charity and solicitude of a great man of God. I don’t remember the exact year — 2007, maybe — but Good Friday arrived and I made my way down to St. Peter the Apostle Church (the home of the National Shrine of St. John Neumann) at 5th and Girard in the morning. I was hoping to see some times posted for confessions, either on a sign or in the parish bulletin — St. Peter’s was known for having daily confessions and I thought I remembered their having confessions during the Triduum before. I did not see any signs and as far as the bulletin was concerned — I either could not find a copy or it said nothing about a confession schedule for Good Friday. I nearly despaired thinking that I would go through Easter, the holiest day of the year, in a state of sin. However, I went to the upstairs church, where the Repository was kept in a small side chapel, and saw a priest there speaking with one of sacristans. I knew the priest only by name and reputation — my wife had spoken highly of him — so I waited until I caught his attention and asked him whether he knew if confessions were scheduled for that day. He asked me to wait a moment until he finished with the sacristan, then simply asked me to follow him, sat down in the confessional and heard my confession. I left the confessional and knelt before the Repository to say my penance. I cannot put into words everything I felt at that moment — yes, I know our religion is not based on feelings, but sometimes we are graced with the consolation of having our feelings correspond to the truth — thinking of the awfulness of my sins, the simple charity of this priest, the grace and mercy of God — and I wept uncontrollably. That priest’s name was Msgr. George Tomichek. Last night I heard the sad news that Msgr. Tomichek had died a couple of days earlier and it really took the wind out of my sails. Please, of your charity, remember him in your prayers! Perhaps even now he is bringing our petitions before Our Lord’s throne in heaven, just as he did on earth in Holy Mass and in the Sacrament of Penance. Eternal rest grant unto him, O Lord, and let perpetual light shine upon him. May he rest in peace. May his soul, and all the souls of the faithful departed, through the mercy of God, rest in peace. Amen. Like 57% of those who eat peanut butter, I prefer creamy peanut butter to crunchy. So imagine my horror when I opened a new jar of peanut butter to find that I had mistakenly bought crunchy! I don’t believe in returning things to the grocery store once they’re opened (if the mistake is mine, that is), so I resolved to slowly consume the vile substance over time. I can report that yes, the Internet is correct — you can turn crunchy peanut butter into creamy with a food processor. To say that it worked like a champ is an understatement — the oversized peanut chunks were swiftly crushed into nothingness. And the whole process only took about five minutes, three of which were spent spooning the peanut butter out of the jar and into the food processor. Another public service announcement from the Peregrinator. You know that the princes of the Gentiles lord it over them; and they that are the greater, exercise power upon them. It shall not be so among you: but whosoever will be the greater among you, let him be your minister: And he that will be first among you, shall be your servant. Even as the Son of man is not come to be ministered unto, but to minister, and to give his life a redemption for many. J. R. R. Tolkien’s translation of Beowulf, which dates to the 1920s, will finally be published this year along with his commentary on the poem. Tolkien aficionados may know that it was his 1936 lecture on Beowulf, “Beowulf: The Monsters and the Critics,” that secured his place in academia. No word yet on whether Peter Jackson is planning a trilogy of movies based on the epic poem. Can. 216 Since they participate in the mission of the Church, all the Christian faithful have the right to promote or sustain apostolic action even by their own undertakings, according to their own state and condition. Nevertheless, no undertaking is to claim the name Catholic without the consent of competent ecclesiastical authority. For example, if I were to start a club for boys, I would not be able to call it “The Catholic Boys’ Club” without the permission of my bishop (it goes without saying that the Pope could also grant this permission). It doesn’t matter whether my parish priest approves; it doesn’t matter whether we meet on Church property; and it doesn’t matter whether we name ourselves after Our Lady or the saints. The whole of this section of the Code of Canon Law, “The Obligations and Rights of All the Christian Faithful,” actually makes for some pretty interesting reading. Note that “obligations” are listed in the title before “rights”! This is not because we have many obligations and few rights — one need only read this section of the CIC to be disabused of that notion — but because obligations (an Explorer should read “duties”!) are logically prior to rights. There is no right to call one’s organization “Catholic” because there is no corresponding duty to do so. In some circumstances, there may be such a duty — but only the bishop has the authority to judge that. What are the “alternatives” for a youth movement whose program is based on Lord Baden-Powell’s program? That was the question many Catholics and other traditional Christians were asking themselves in May of last year (2013). However, some of the suggested “alternatives” were only alternatives in the broadest possible sense, akin to joining 4-H in lieu of playing organized football. My guess is that in their haste to pry people away from what they believed to be a corrupt organization, well-meaning commentators latched onto just about any Catholic or Christian youth organization and presented it as an alternative. That some, maybe even all, of these organizations have merit is not subject for debate. The real question is whether one of these organizations is an adequate “substitute” (I mean no opprobrium here; no one likes to be a substitute, much less a merely “adequate” one!) for one that uses B-P’s educational method. I submit that it is not, unless the organization in question also uses B-P’s concepts and ideals. Lord Baden-Powell’s method has been explicitly approved by every Pope (with the exception of our current Pope, who as far as I know has not spoken publicly on the matter) since Pius XI. And before B-P published his book Scouting for Boys, he solicited the advice of Archbishop (later Cardinal) Francis Bourne of Westminster as well as the Benedictines of Downside Abbey. Serves youth from the age of reason (about 7) through adolescence. Separate programs for young children (about ages 7-11) and older children (ages 12-17). Older children, at least, separated by gender. Rovering program for young adults (18-24+). Older children grouped into “patrols” or “squadrons” of 6-9 children. Patrols made up of children of diverse ages, rather than all of the same approximate age. Instills a spirit of service in its members. Of course, this list is just scratching the surface — there are many other features that might be listed as well. However, I do think this list will help families make an informed decision. Phillies pitcher Justin De Fratus talks to NCR about how he found “brotherly love” in baseball. I read this article to our boy Timber Wolves about a month ago and they, being part of a brotherhood themselves, understood it right away. When thinking about a Explorer activity we shall have in mind that we try to have always elements corresponding to five goals. We do not only play, but also pray, not only sing but also serve, not only cook, but also climb a hill, not only laugh but also serve each other. Look at the requirements for the second and the first class. There are always things concerning each of the five goals: health, manual ability, character, service, God. When you only pray, it won’t be exploring but a parish group of prayer. If you only play in the forest it won’t be exploring but young marines preparing for Afghanistan. If you only cook it won’t be exploring but gourmandize club. If you only sing it won’t be exploring but a choir. So during each activity, let’s try to do all the elements. Even during pilgrimage, do it in the Explorer manner: cook at the fire, have a fire of expression (theater with actors and songs), take photos, etc. Give each boy and girl a responsibility for the smallest aspect of your event. Your pilgrimage must be an Explorer pilgrimage not any pilgrimage. And so each activity. I would argue that the fifth (and most important goal), sense of God, was implicit in Baden-Powell’s method; it was made explicit in the work of Ven. Jacques Sevin, S.J. (whose implementation of Baden-Powell’s method was highly praised by the Founder himself). Nevertheless, while one could argue that this fifth goal or aim isn’t entirely necessary for an “exploring” (what is usually called “scouting” in Europe and elsewhere) program, certainly one can’t have a Catholic program without this goal. I will go even further and ask — can one have a Catholic program based on the work of Lord Baden-Powell while ignoring the work of Fr. Sevin? One issue with this is practical — why try to adapt Baden-Powell’s method to a Catholic setting when it has already been done? A second, and more important, issue is pastoral — Fr. Sevin’s work has been explicitly approved by the Popes, so Catholics who eschew it in favor of their own efforts are not thinking things through. The meeting of the [Baden-Powell] method with the insights of Fr Sevin, S.J., has made it possible to develop an educational programme based on Gospel values, in which each young person is led to grow and to develop his personality, thus making his talents fruitful. The [Explorer] law, training young people in the way of virtue, invites them to moral rectitude and a spirit of asceticism, thus directing them to God and calling them to serve their brethren; by striving to do good, they become men and women who can play a responsible role in the Church and in society. In a troop, at camp and in other situations, [Explorers] discover the Lord through the wonders of creation, which they are called to respect. They also have a valuable experience of ecclesial life, meeting Christ in personal prayer, to which they can become accustomed, and in the Eucharistic celebration. In addition, Scout unity gives young people the opportunity of an apprenticeship for life in society with mutual respect. Here we see that the late Pontiff is not only mouthing platitudes: it is clear that he is familiar not only with Fr. Sevin’s work but also that of Lord Baden-Powell. Explorers “discover the Lord through the wonders of creation” — does this not remind one of the sixth article of the Law, if not the entire thrust of B-P’s work? Made fruitful by the Gospel, [exploring] is not only a place for true human growth but also for a forceful presentation of Christianity and real spiritual and moral development, as well as being an authentic path of holiness. It would be appropriate to recall the words of Fr Jacques Sevin, S.J., the founder of Catholic Scouts: “Holiness does not belong to any specific period and has no specific uniform”. The sense of responsibility inspired by the [exploring] pedagogy leads to a life in charity and the desire to serve one’s neighbour in the image of Christ the servant, relying on the grace that he bestows especially in the Sacraments of the Eucharist and Reconciliation. In France there are a number of youth associations inspired by Fr. Sevin’s work, of which the Scouts and Guides of France, the Scouts and Guides of Europe, and the Unitary Scouts of France are the largest (and these three are identified by name by the Pope Emeritus). In the United States, mainstream “exploring,” even among Catholics, has basically ignored what Bl. John Paul II aptly called the “insights of Fr. Sevin” — why? Too European (as though “European” = “bad”)? It’s hard to say for certain. What is certain, however, is that ignoring or eschewing Fr. Sevin’s work is detrimental to a Catholic “exploring” program, while putting his work into practice is — to say the least — beneficial. That doesn’t mean that one can’t create a vibrant Catholic program from scratch, but it does mean that he is handicapping himself from the start.